With The Salt of the Earth heading into general release today, it's a nice occasion to consider how you can combine still photography and documentary cinematography, and overall the genre of artist portraits. It's also an interesting example of how collaboration can result in a great work of art, co-existing with epic creative conflict. 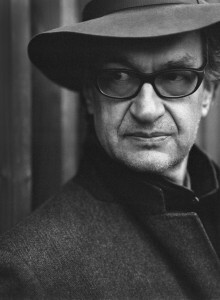 By now in his career, the name Wim Wenders is a high-culture brand name to patrons of modern art who want, anywhere-and-always, to be in the know. Frighteningly (for those of us who make documentary films in particular), his first major documentary Pina — just before this one — got widely awarded that grand critic's moniker of "reinventing the genre." 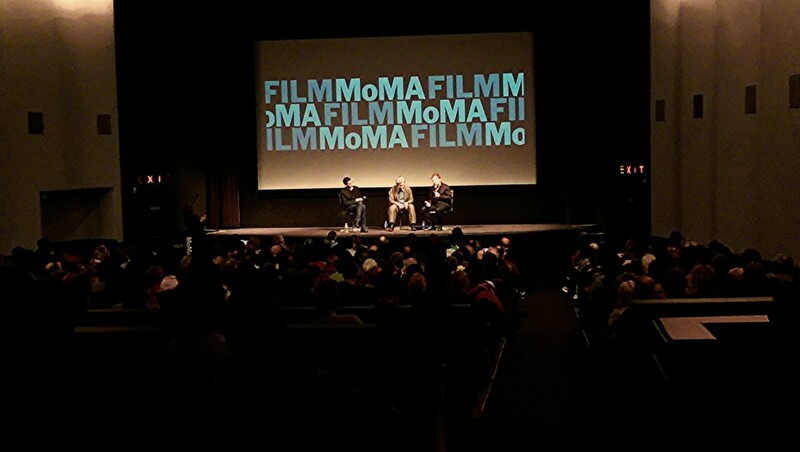 In reality, besides shooting in 3D, he tried a few other tricks like asking interviewees to look into their laps while we hear their voices before and after those moments — an experiment pre-dating Wenders, with many finding its narrative value limited (and in Pina, those interviews really just flatter the subject of the film in gross repetition). Be that as it may, what's really interesting about his latest film is that it isn't just his. The legendary photographer's son, Juliano Salgado, was already making a documentary. Wenders arrived in the middle, bringing his brand name, and all hell broke loose. Not merely dealing in gossip here, what evolves is how the documentary medium is in itself oddly less collaborative than narrative cinema, under normal circumstances. Around that, The Salt of Earth had mashed up its auteuring and stylistic approaches beneath the inevitable locus of the film, those breathtaking photographs of Sebastião Salgado. (The only way to do them justice is to see them yourself, as best you can.) Although there are beautiful time-based images in the documentary, the photographs are the thing. That sneering terminology "Ken Burns effect" is sadly part of our critical vernacular these days, but in this film, you get something between that, and the pervasive milieu today of observational/direct cinema: Salgado's photos get presented static, not zooming or panning, simply to speak for themselves. Thus, the sophomore Wenders documentary fails to "re-invent" genre once again, because the integrity of the subject prevented it. A good thing. That's nothing to say of process. Rather like Errol Morris' famous Interrotron, Wenders filmed his interviews through the scrim of a teleprompter that projected into the eyes of its subject, Salgado himself, the photograph he was asked to talk about. Even just conceptually, that's clever. Roger Ebert famously wrote of Godfrey Reggio's revolutionary Koyaanisqatsi (always my favorite film until Terrence Malick got back to making them) that the beauty of Ron Fricke's cinematography oddly betrayed the philosophical cautions in those Hopi prophecies of "life out of balance." Here, too, the audience is invited to a peculiar quandary, to admire and absorb Salgado's immaculate perfection as an artist, with photographs that portray the worst of our world like genocide and famine. In that moment, whenever it may arrive for each viewer, a spark can ignite: to separate artistic accomplishment from documentation — obeisant to judgment upon discrete yet parallel courses. I could think of no better way to see the world! The film opens today at Landmark's E Street Cinema and Bethesda Row, as well as Arlington's Shirlington 7 theaters. For the wider national release schedule, click here.